IHSE reports first orders for the new Draco ultra DisplayPort KVM extender from Intronics for use in port vessel movement monitoring. 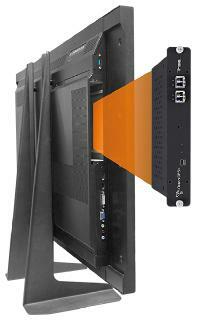 The Draco ultra is unique in its ability to transfer video at 4K 60Hz full colour 4:4:4 over a single fiber cable. 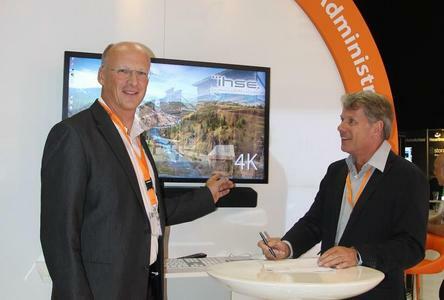 Dr. Enno Littmann, Managing Director of IHSE, said: "4K is gathering momentum in the broadcast and professional AV markets. The Draco ultra is the first in a new generation of digital KVM extenders using the innovative lightweight image (Lici®) codec developed in corporation with Fraunhofer IIS and the Altera DisplayPort 1.2 IP core." Thomas Rouw, business development manager for Intronics said: "It is essential that the highest quality image is available to operators in this application, which is what the new Draco ultra DisplayPort extender from IHSE provides."